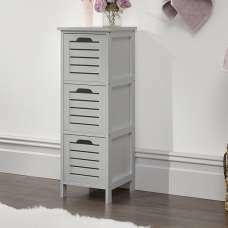 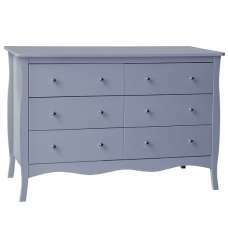 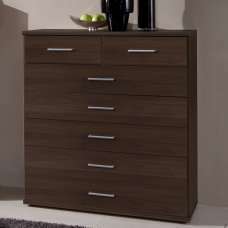 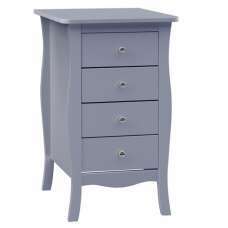 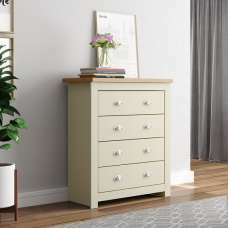 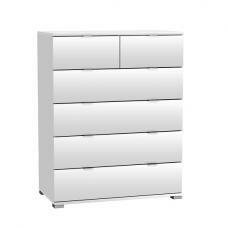 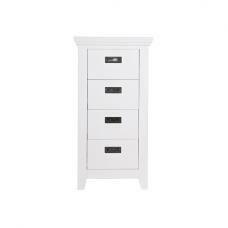 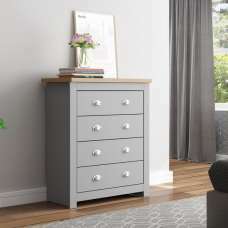 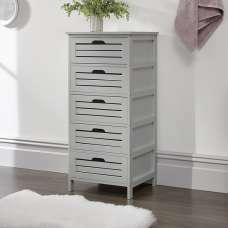 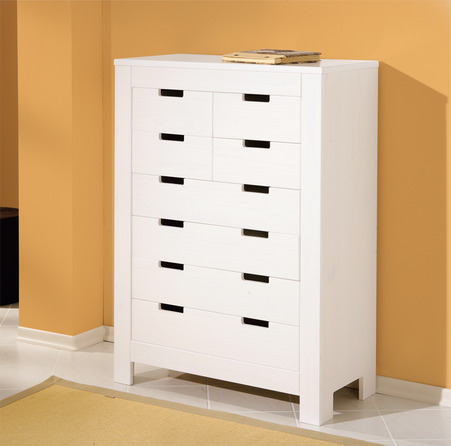 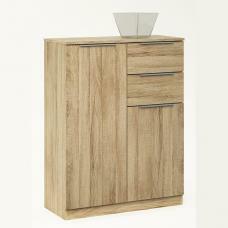 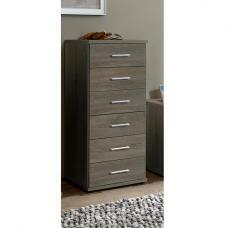 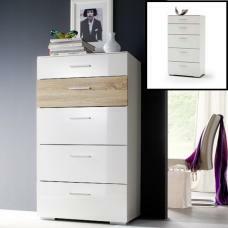 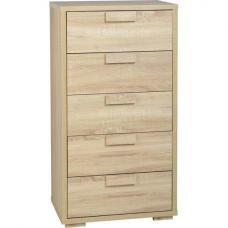 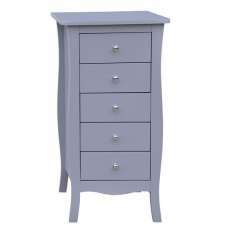 An elegant chest with eight drawers in two different sizes. 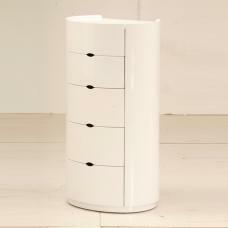 Modern tower design. 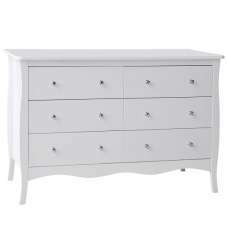 Painted white, of solid pinewood. 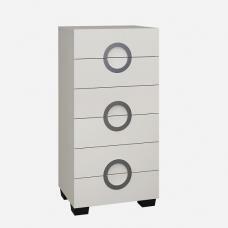 Practical recessed grips on the drawers fronts.